On January 30 the Calcasieu Parish Sheriff’s Office responded to a call in reference to theft. The investigation revealed William B. Marcantel, 46, 2524 Beauvoir Drive, Iowa, had stolen a checkbook from a family member and written several fraudulent checks on different occasions in January, totaling approximately $870. Marcantel was seen on video surveillance footage at a local store writing one of the checks. Marcantel was also positively identified as the person who wrote the fraudulent checks by employees at the store. Marcantel was arrested on February 10 and booked into the Calcasieu Correctional Center. 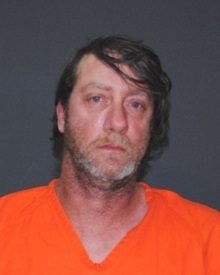 He was charged with theft between $750 and $5,000; forgery; and bank fraud. Judge Sharon Wilson set his bond at $10,000. CPSO Detective Kim Sittig is the lead investigator on this case.